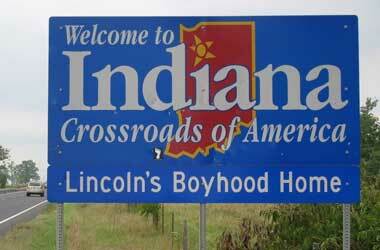 Like several other U.S. states, Indiana slowly increased the gambling types it wished to allow within its state borders. From allowing hardly any form of gaming in the 80s, the state slowly added gambling additions to satisfy its desire for additional funds, revenue and the funding of advantages required economically. With this slow progress made in gambling, Indiana got one thing right, and that was clearly defining its laws concerning gambling. The state made sure that all allowances part of the gambling law, as well as the explanations in terms of restrictions according to state laws, are easy to understand by everyone. The gambling laws of Indiana remains sturdy to several changes, and over the years it proves to be one of the regions that offer a variety when it comes to betting opportunities. Gambling laws are ever-changing, and the Hoosier State is without a doubt driven by its desire to please the desires of its constituency and ambitious politicians. Anyone who has never participated in gambling activities in Indiana will appreciate this quick Indian Gambling Law overview, what is legal is casino gambling, horse race betting, lottery, charitable gaming and casino gambling. What the law states as illegal is dog race betting, online gambling and social gambling, while activities not specified includes daily fantasy sports. The relatively small and rural population of Indian stays out of the spotlight, although doesn’t delay when it comes to the legal betting market, punters place bets in access of $2 billion each year. Of these legal wagers, most placed at one of the riverboats that are hugely popular and found on the Ohio River or Lake Michigan. The legal age for race betting in Indiana is 19 years of age, while casino gambling is available to anyone that is 21 years of age. Anyone looking for casino entertainment in Indiana has a choice between Racinos, Indian Casinos, land-based casinos and riverboat casinos. The gambling history of Indiana starts way back in 1851, with the banning of lotteries as well as any form of gambling in general. State voters then approved a constitutional amendment to this ban of lotteries in 1988 and many critics predicted that it would lead to the legalisation of casino gambling, while legislators protested that there was no support what so ever for casinos. Although it took only a few months before Mayor Barnes proposed the opening of a high-rise resort casino to lift the economically depressed state, the Indiana General Assembly rejected the bill in 1989, although 60% of voters approved a non -binding referendum. This also still led to the city considering the acquirement of 350 acres that could house as many as five casinos. The lobby efforts supported by several gaming companies from Atlantic City and Nevada in the second attempt to legislate casinos in 1990, blocked by the Republican leaders. By 1991 the state introduced an expansion that would authorise casino riverboats on the Ohio River as well as a casino resort in the West Baden Springs area. The proposal passed the house of assembly, but the Senate committee rejected it. After years of disagreeing in a special session in 1993, the law finally allowed five sites on the shore of the Ohio River, five on the shores of Lake Michigan and one on the Patoka Lake, the casinos would increase taxes by $100 million per annum. In September 1993, the first gaming license applications from 27 proposals arrived for the sites in twelve cities. Casinos in each city required authorisation from the local referendums and voters approved casinos in East Chicago, Hammond, Dearborn, Ohio, Vanderburgh, Switzerland and LaPorte, while voters rejected casinos in Porter, Clark, Floyd and Warrick. Today the list of casinos in Indiana includes several riverboat casinos, Native American casinos, land-based casinos and a racino. In May 2018, casinos in Indiana was hoping that state lawmakers would agree to sports betting, which would attract more clientele to existing casinos. What guarantees a pleasant online experience is finding an online casino licensed by one of the reputable, authoritative bodies, such as the UK Gambling Commission, Government of Curacao or the Malta Gaming Authority. Casinos approved by these authorities need to provide members with full transparency when it comes to promotions, bonuses and promotions. Several independent companies such as TST Labs and eCOGRA test software on a regular basis to ensure fair and RNG gaming, while member privacy and safety guaranteed via the use of SSL or TLS encryption technology, while member identity protection is certain via the use of HTTPS protocols. Online casinos utilise a large variety of bonuses for several purposes, no deposit bonuses including cash and free spins are marketing tools used to attract new members. Welcome bonuses are in place to thank new members for choosing the casino, and therefore it offers the highest percentage bonuses available. Bonuses in place to show members the operators appreciation for continues support include cashbacks, reload bonuses, and surprise bonuses. Member loyalty highly appreciated by online casinos, rewarded via a points system, which allows the accumulation of points, exchangeable for cash or bonuses, while members also progress through several loyalty levels, each offering bigger bonuses as well as higher point conversion rates. Reaching VIP status unlocks a whole new level of rewards, including 24/7 assistance from dedicated VIP managers, increased deposit and withdrawal limits, personalised bonuses, and invitations to major sports events, weekends away and yearly cruises. Online casinos take care of the needs and requirements of international players; therefore, a variety of traditional casino games, slots and live dealer games made available to ensure every player gets to enjoy his/her online experience. The gaming variety offers varies betting options, customizable to suit player’s budget requirements. Betting options start from a minimum of $0.01, and in VIP games the maximum bet accepted is worth thousands of dollars. Diversity and suitability are key to the success of online casinos. Consequently, the banking section offers several trustworthy methods for both deposit and withdrawal are safe, easy to use and allow fast funding of accounts as well as swift withdrawing of winnings. Methods include Giropay, iDEAL, MasterCard, Skrill, Neteller, Wire Transfers, Visa, American Express, PayPal, ClickandBuy and Ukash, while many online operators have also added cryptocurrencies such as Bitcoin and Litecoin to their list of approved payment service providers. There are two main things that influence how long it would take for winnings to reflect in your bank account. The first is the pending period of the casino and the second is the method selected by the player. Withdrawals via Litecoin and Bitcoin take a few hours, e-wallets such as Skrill or Neteller can take up to 24 hours, while credit card such as MasterCard, Visa or Maestro can take up to a maximum of five working days.